For eons, the Honda City has been the favourite car at home. It has pretty much been the car Dad has wanted and has also been one of my personal favourites since the original VTEC, which is still quite the rage with tuners. And, the Honda City my long-term test car for the next three months! No, it isn't the VTEC but is the diesel ZX. Not that I'm complaining though  it's been a month since now and highway efficiency has been above the 20kmpl mark consistently! That's courtesy the six-speed manual gearbox and the frugal engine, both. And at just a shade under 19kmpl overall efficiency is impressive too. Also, the driving position is sporty, allowing me to sit low with my legs stretched forward, while the wife is in love with the City's rear legroom and kneeroom. 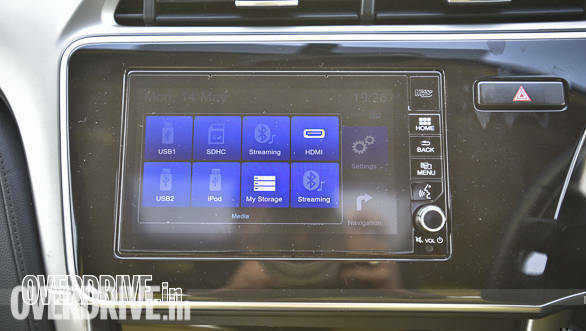 The music system offers good audio quality but the City does not come equipped with Apple CarPlay which is a bit of a disappointment. I also wish touch sensitivity was better  the 7-inch screen has a crisp resolution but there is a noticeable lag in its functions. Leather upholstered seats feel plush but the texture of the leather is too smooth which causes occupants or objects placed on the seats to slide forward whenever I brake hard. My favourite bit about the car though are its full LED headlights. 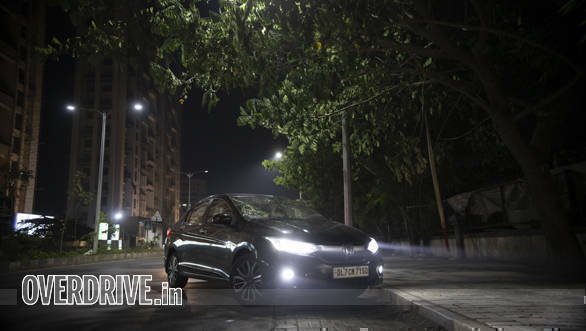 They offer excellent illumination with a wide spread and long throw of bright white light and the ZX even gets an automatic headlamp function, eliminating the need to turn the lights on or off manually. With its kind of creature comforts, I'm now keen on seeing how the City feels in Mumbai's chock-a-block traffic. Next update: Testing the City in Mumbai city!